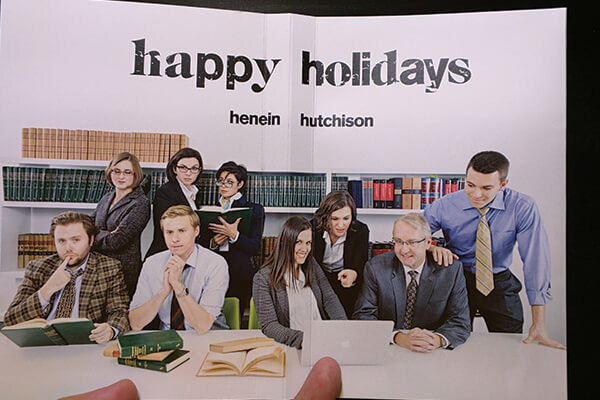 Repeatedly recognized as Canada’s top litigation boutique, Henein Hutchison LLP (HHLP) focuses on criminal, regulatory, quasi-criminal litigation, and selected civil cases. With the firm’s varied expertise and experience in both criminal and civil litigation, HHLP is ideally suited to advise clients in business crime matters. With discretion, commitment and uncompromising dedication, HHLP is using bigDAWGS’ Musical Greeting Cards to extend their holiday greetings to all its respected clients for a wonderful year and for a successful year ahead of them.